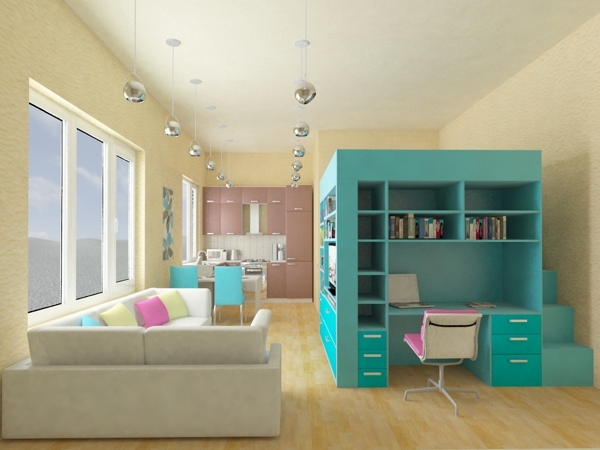 Russian designer Yuliya Gavrilova was given the task of decorating an apartment she came up with some rather unusual answers to give this space a new lease of life. With a novel and exciting idea she has transformed this apartment belonging to an actor into a multipurpose studio with a good eye for color and some attractive accessories. 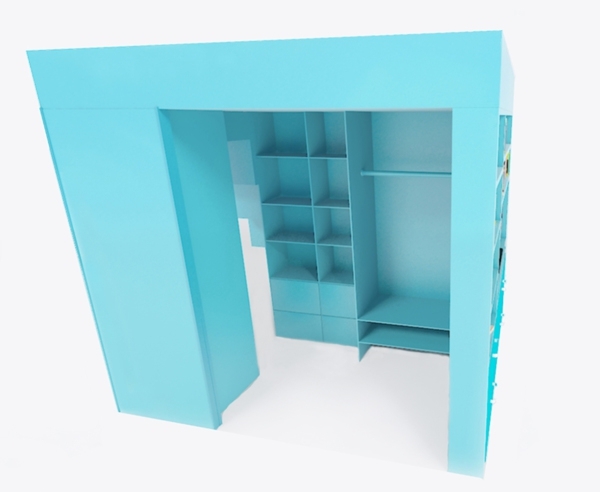 The main feature of this small space design is a cube like piece of furniture that has multiple uses. 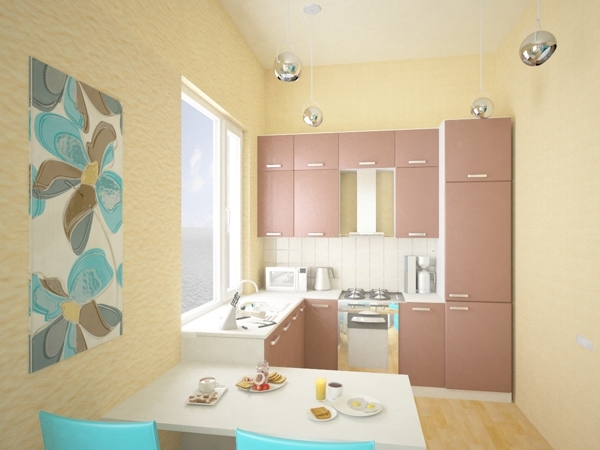 Yuliya has done a fantastic job of actually thinking “Outside of the box” while incorporating a box to give the small space design more options. 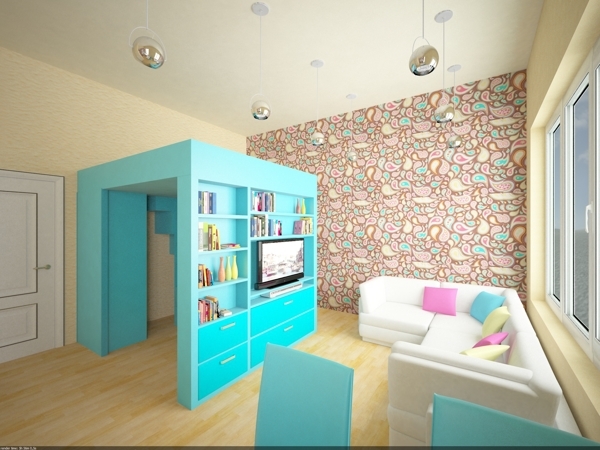 The bright turquoise color of the box wonderfully compliments the highly patterned feature wall in the apartment. 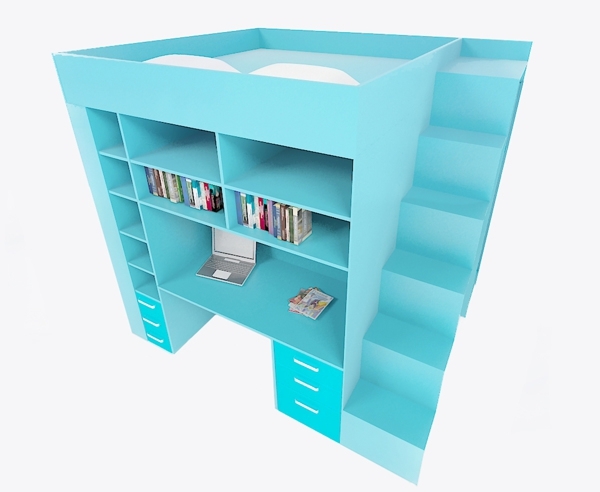 The box itself is a small office, a bookcase, a wardrobe and also a bed. Around the apartment colored cushions and artwork pick up the colors used elsewhere and bring the whole small space design together. Hanging pendant lights in chrome add an extra dimension and reflect the light from the large windows. 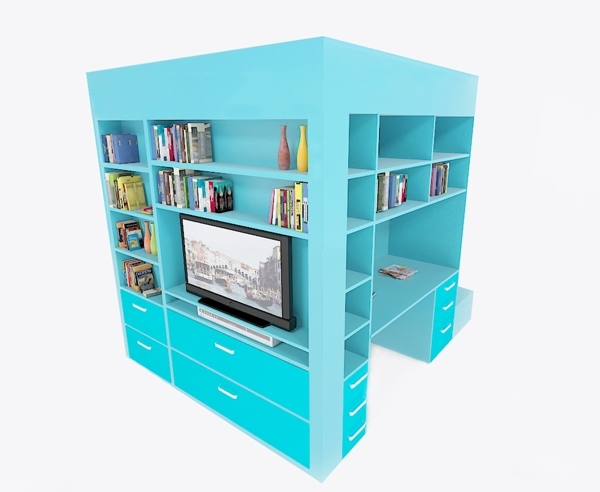 This small space design works well within the confines of the apartment, while the multiple use cube provides a fantastic focal point. 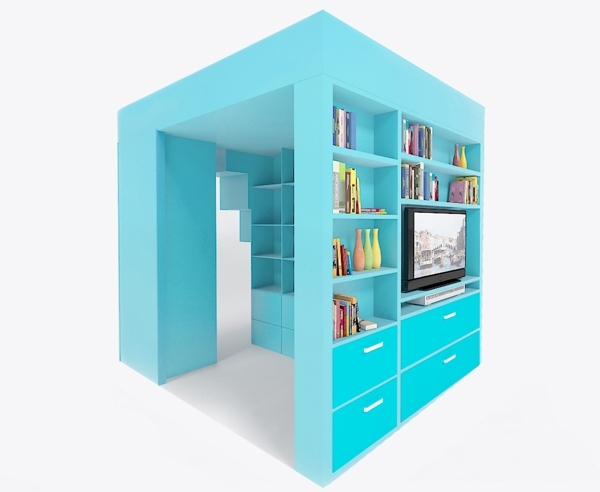 The cube design could be used in many other places and its functions altered to suit the individual owner. Brilliant!!! I’m definitely filing this one away for future use…..